Figure 5 A typical reaction catalyzed by mycobacterial arabinosyltransferases (AraT's). has been cloned and expressed [52-54]. In addition, an assay for their activity that uses mycobacterial membrane preparations as the enzyme source has been developed [49,50]. The assay measures the incorporation of radiolabeled arabinose from 10 into arabinan, and it has been used to screen both potential substrates and inhibitors [46,47,55,56]. Although the natural acceptor substrates for these enzymes are lipid-bound intermediates, these AraT's also recognize small arabinofuranosyl oligosaccharides. 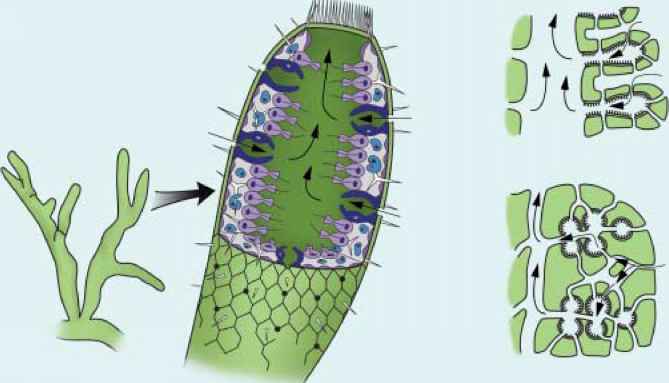 A few of the oligoarabinosides that have been shown to be substrates for these enzymes are illustrated in Figure 6 [49,55]. Arabinofuranose disaccharides appear to be the minimum epitopes. Furthermore, investigation of the AraT recognition of the disaccharide a-D-Ara/-(1^5)-a-D-Ara/-R (13-15) and the trisaccharide a-D-Ara/-(1^5)-a-D-Ara/-(1^5)-a-D-Ara/-R (16, 17) revealed that glycosides with R = octyl (14, 17) are better substrates and those with R = methyl (13, 16). Surprisingly, the dodecyl glycoside 15 was a poorer substrate than 13. In the investigation of 14 and 17, the products of the enzymatic reactions were isolated and their structures elucidated . In both cases, mixtures of two products, corresponding to addition of an Ara/ residue to either the 2- or the 5-position of the terminal residue in the oligo-saccharide acceptor, were obtained. From this study it was concluded that 10 was the source of the 0-(1^2)-, and a-(1^5)-linked Ara/ residues. 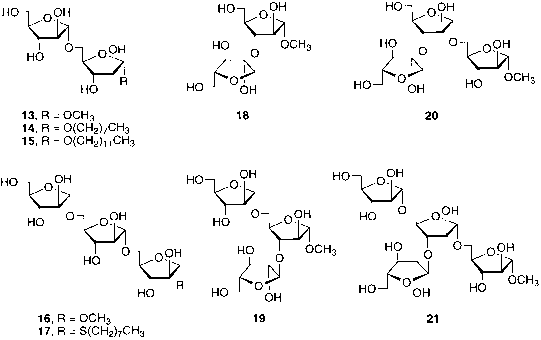 Figure 6 Arabinofuranosyl oligosaccharides tested as substrates for mycobacterial arabino-syltransferases. throughout, which suggests that 10 is the major, and possibly sole, source of Ara/ residues. The lack of a-(1^3) linkages formed in the initial study  could be attributed to a number of factors: (1) the instability or absence of a-(1^3) AraT activity in the membrane preparation, (2) the possibility that this enzyme recognizes oligosaccharide substrates larger than those investigated, or (3) the possibility that another activated donor (e.g., a sugar nucleotide) is used by this AraT. Although the presence of UDP-Ara/ in mycobacteria has been reported , the incorporation of arabinose from this source into arabinan has not been demonstrated. The range of donor substrates that are tolerated by these enzymes has also been explored. A series of analogs was prepared, each one differing from 10 only in the identity of the lipid chain, and the set was screened for biological activity . It was discovered that conjugates of C50 and C55 prenols were substrates, while those compounds with shorter (<C10) prenol derivatives (geraniol, nerol, and citronellol) were inactive.